One of the things on our cleanse list this month is releasing things that don’t make us feel awesome and challenged and appreciated and like we’re living that high vibe life. The benefit of any purge? Creating room for more of the good stuff: practices and relationships that enrich and inspire. Which brings me to our guest contributor and founder of awesome, positive, real talkin’ women and wellness-focused site The Violet Fog, Katey Yurko. One of my favorite new friends and inspiring member of the W+A tribe. Holy moly-- this practice is not only effective but it feels SO GOOD. 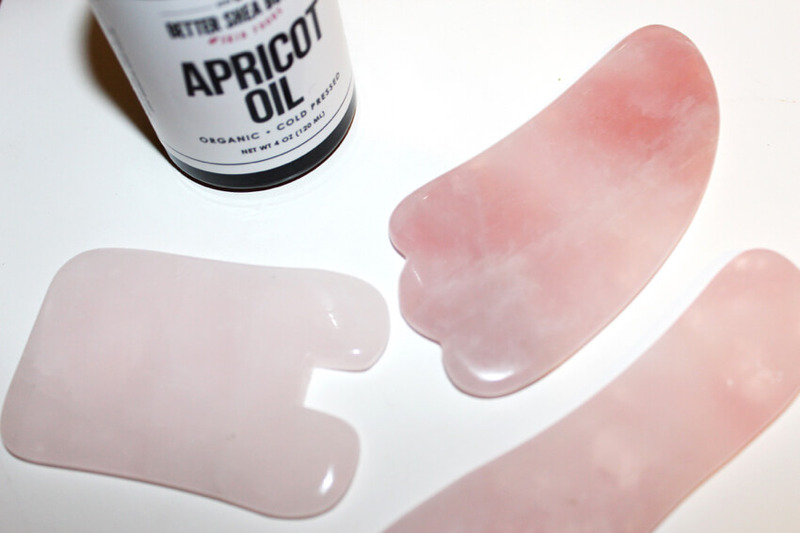 With rose quartz tools (pictured above) you basically make upward motions on an oiled up face to increase circulation and ward off premature aging. In Ancient Chinese medicine, they believe that aging and bad skin comes from a lack of circulation. When circulation isn't in top form, collagen production can break down. Sagging happens. Breakouts happen. Gua Sha facials take TWO minutes and make such a difference. And not only is it good for skin health, it legit gives you a temporary FACELIFT in seconds. You'll love it. You can read my full article here or just skip to the video. I will be honest. I'm a health nut who does NOT want to put in a lot of effort cooking. I'm just not super confident in the kitchen and although I know the basics- it's not enough to eat as healthy as I would like to. Using a vegan meal delivery service has saved me: 1, time. 2, money. and 3, a lot of health issues. Eating clean makes ALL the difference in how I feel and when I have healthy food already prepared for me, I am more likely to make healthy decisions. There are plenty of food options out there but my favorite is Thistle- an organization I’ve worked with throughout 2017. You can see my first article here on why I love them. 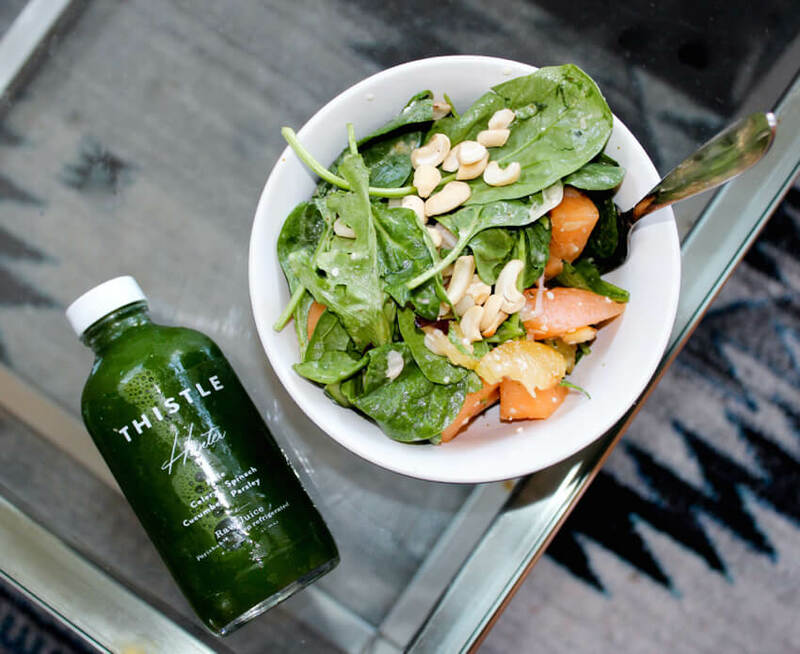 If you are a health nut like me- food delivery services are an awesome resource. I promise. I have always been a HUGE believer in oils. I truly think they are the fountain of youth and the best way to get nourishing ingredients into your skin. My favorite thing to do is a layer of oil and then a thin layer of moisturizer on top to really trap it in. 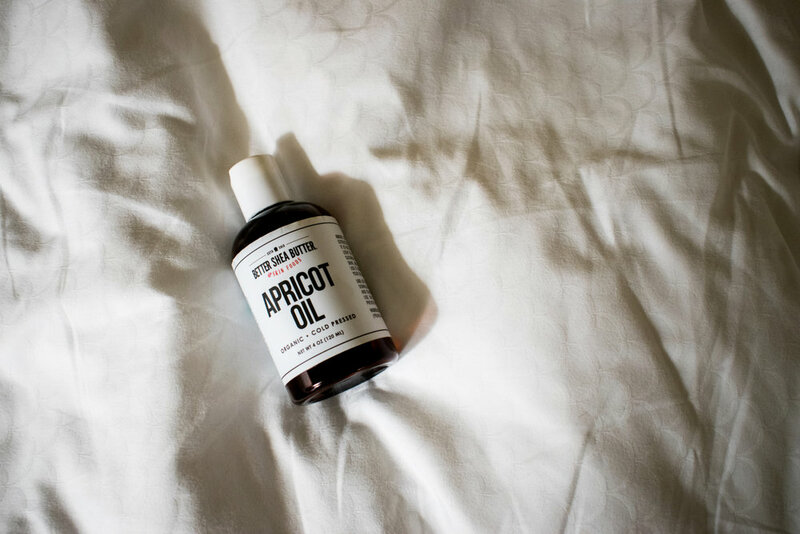 Apricot oil is one of my favorites- it is SO HIGH in vitamin A (which our body needs but doesn't product naturally!) and is so gentle it works on every skin tone. It's anti-inflammatory and when you wake up in the morning after using it you just feel so soft and glow-y. It's incredible. I have gotten many friends hooked on it! You can see my full article here. I don't have set plans on where I am going to travel. I do have themes around the kind of travel I want to do though and those are: nature, wellness based, and unique culture. I am a very "play it by ear" kind of gal. This year, I would love to do a wellness retreat somewhere in Oregon. I am in love with that state. The people, the greenery. I could live there! I find that a lot of their beauty companies are more on the natural, earthy side- as opposed to more labby and high tech (which I also enjoy.) One shop I’m crazy about is Fettle Botanics in Portland. They have all these elixirs, oils, herbs, and spices. I have an immunity tincture from them that I use all the time. They’re huge on Eastern Medicine healing and in just one trip there you can learn a lot. I also love Oregon-based Seagape Soaps. It's basically a trip to the Pacific Northwest coast in the shower. They make minimal makeup, balms, and of course- soaps. They are incredibly clean. My favorite product is their healing balm, which another Violet Fog writer recommended to me. It’s incredible! Come say hi anytime on www.VioletFog.com or at @thevioletfog on Instagram.